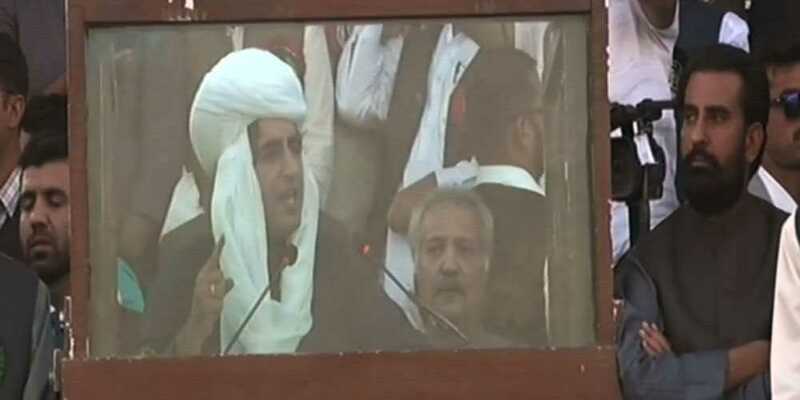 Chairman Pakistan Peoples Party Bilawal Bhutto Zardari has said that our priority was Balochistan in the past, but Nawaz Sharif has no concerns with the problems the province is faced with, but to get power. Speaking to the rally at Quetta, that the dead bodies of Hazara community is not the concern of the former Prime Minister Nawaz Sharif, nothing worries him more except the power struggle. Who will be the one to talk about missing persons? Bilawal Bhutto said that they ridicule us for being backward and uneducated, while they themselves are the reason behind it. He said that people who have lost nothing, cannot understand the pain of losing a dear one. We have been lifted the dead bodies from Karachi to FATA and Zohb to Gilgit. We will continue to raise our voice until the National Action Plan is completely implemented. Asif Zardari did not impose problems on Balochistan but he did seek forgiveness from the province. The right of Balochistan was snatched and used in the Federal, isn’t it injustice to Pakistan. The PPP chairman said PPP helped 0.9 million women in Balochistan through Benazir Income Support Program. Bilawal Bhutto Zardari further said that Nawaz Sharif even owned the projects done by the PPP. Nawaz Sharif takes credit of China Pakistan Economic Corridor (CPEC). The Western route was also altered so that Balochistan is neglected. In 2013’s speeches there is no mention of CPEC, he was criticizing Asif Zardari’s visit to China.